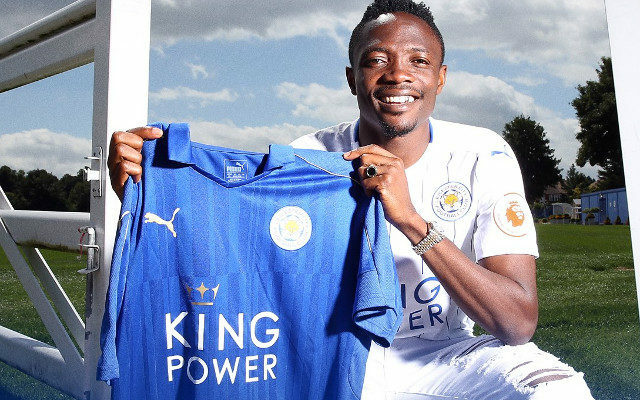 Premier League champions Leicester City will have a new striker to give some help to Jamie Vardy as CSKA Moscow striker Ahmed Musa has been signed for a club-record transfer fee. According to Sun Sport, Leicester City have paid the Russian Premier League giants £16 million to bring the 23-year-old striker to King Power Stadium – the highest transfer fee ever paid by the Foxes. Leicester City confirmed the signing of Musa on their official website and Twitter pages – mere hours after the launch of their new away kit for the 2016-17 season. Musa said he was happy to join and praised the club for its family-like atmosphere. Musa finished the 2015-16 season for Moscow with a career-high 18 goals in all competitions, including 13 in the Russian Premier League en route to a league title. The Nigerian striker has significant Champions League experience, having represented Moscow in each of their last three campaigns and has six goals from his last 22 appearances in the tournament.